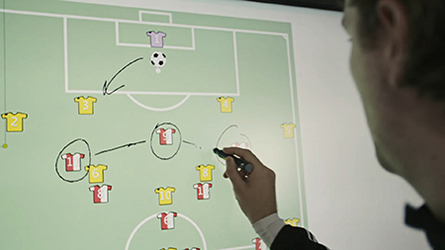 Enabling the use of multi-touch screen technology in sports analysis, Tango Sports has been designed to transform tactical meetings for coaching staff and players. 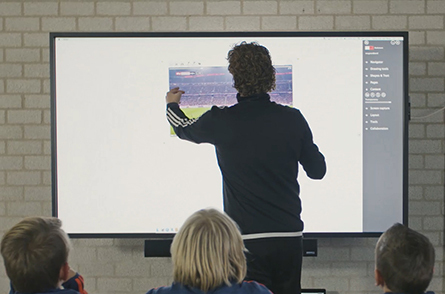 Plan individual and team tactics and deliver with simplicity using large format multi-touch displays. 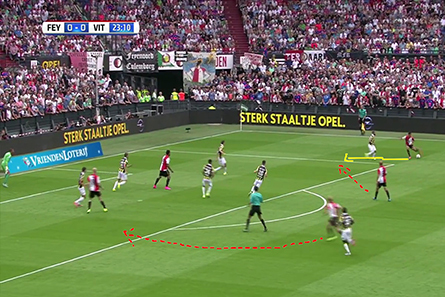 Illustrate and explore different match scenarios using a range of on-screen tools. Save and easily recall them allowing you to test and discuss different approaches and strategies. Videos and images can be imported in seconds and used to analyse and track the performance on screen of either individual player or team. Quick tools allow you to navigate videos, zoom in to detail, extract key moments as stills and annotate in real time. Open and play multiple videos simultaneously to review and compare the action. Simple, intuitive interface and comprehensive feature set enables wide ranging use throughout the football club and wider community. First team to academy - perfect for pre-match, half time and post game tactical planning and review. Team management, coaching and sports science. General and administrative meetings and presentations, corporate and hospitality as well as education. "We chose Tango Sports to replace the old traditional magnetic tactics board because it offers much more player versatility. Plus it challenges the players to think about specific situations. Tango Sports is an excellent tool to use in the pre-match discussion. The response from the players is very positive. They think it's a fabulous tool because it has a great look and feel and is very user-friendly. I believe it's a great product that could be a valuable tool for all kinds of sports and clubs."